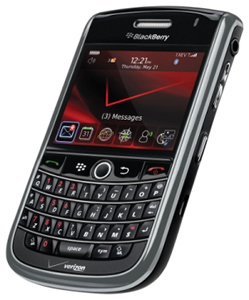 I keep receiving old messages that I deleted on my Blackberry Tour as NEW messages. This has happened twice since December 22, 2009. I think it’s related to the network outages that BB had in North America on the 22nd because I’ve never had this problem before then and the emails that are being re-delivered are all from Dec 22nd. That being said, I’d like to correct the problem so I don’t continue receiving the emails. It’s probably a corrupted message database. The above link advises two fixes. First it says to try the Delete Prior option to remove the corrupted messages from the database. Click Here for instructions on using the Delete Prior option. If that doesn’t work, then you need to clear the message database using BB Desktop software. Instructions HERE. 12/30/2009 – Tried #1, waiting to see if the issue crops up again. Which website visitors can’t Google Analytics track?